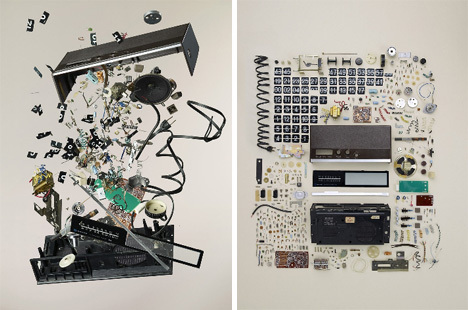 Everyone who ever took devices apart as a child knows how beautiful deconstructed technology is. 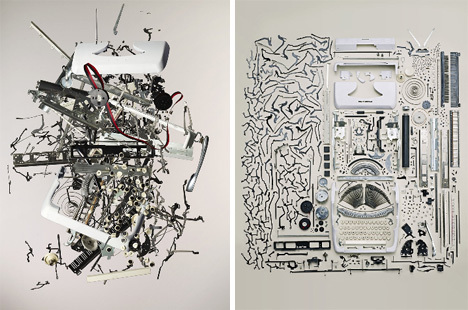 Todd McLellan makes an art form out of the destruction of vintage technology by carefully taking apart, arranging and photographing their every little piece. Have you ever wondered what makes your favorite devices work? All of the tiny pieces have to work in exactly the right way to keep your electronics humming along. 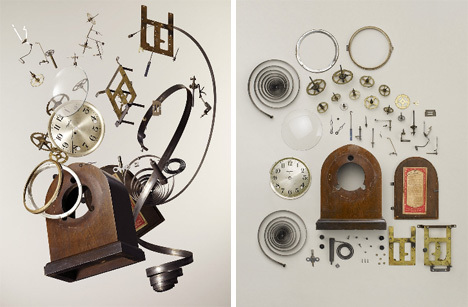 Those pieces can sometimes be even more interesting than the whole gadget all together. 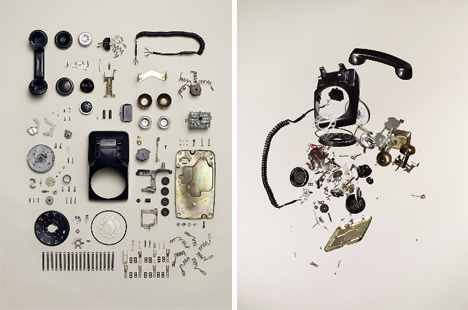 The insides of cameras, analog clocks, telephones and even a hand-push lawn mower are meticulously disassembled and laid out for McLellan’s superb photographs. Getting to examine every tiny piece of these gadgets – the pieces that are normally hidden – is a little like having X-ray vision. Accompanying every photo of stringently laid out gadget guts is another photo of the gadget seemingly exploding in mid-air. For people who find blowing stuff up to be much more interesting than organizing it carefully, these photos will no doubt be the favorites of the bunch. 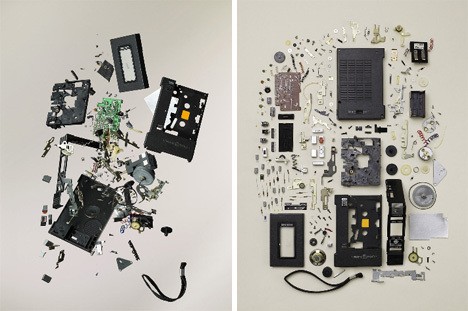 All of these photographs perfectly exemplify the DIY spirit of a tinkerer: someone who is fascinated with the inner workings of things and joyfully tears apart one gadget after another for no reason other than to see what’s inside.